Called the “Pathfinder,” John Charles Fremont was a skilled surveyor, mathematician and explorer who ventured on important expeditions deep into the American West. His work “Map of an Exploring Expedition to the Rocky Mountains in the Year 1842 and to Oregon & North California in the Years, 1843-44” was a seminal one, published in 1845 in a report to Congress, and described by some as Fremont’s most important work. 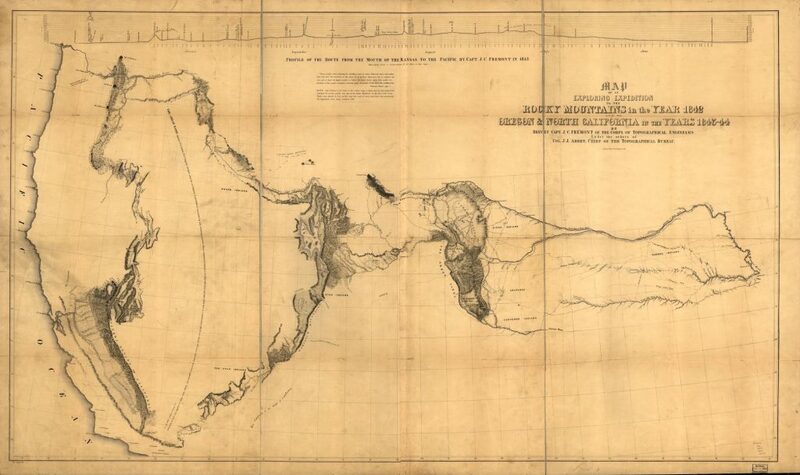 This map chronicles Fremont’s 1842 exploration West, or more specifically, the region lying between the Missouri River and the Rocky Mountains, along with his 1843-1844 exploring expedition to Oregon and north California. Army engineer John James Abert organized the mapping of the American West and Fremont was commissioned by the Corps of Topographical Engineers in 1842 to survey and map the Oregon Trail. The exploring party made their way from Missouri, where they traveled northwest through today’s Nebraska, Colorado and Wyoming. His 1844 orders sent him on an expedition to find a more southern route across the Rocky Mountains, exploring the region south of the Columbia River and crossing into California. Did you know that Mount Elbert in the highest summit of the Rocky Mountains and the highest point in the state of Colorado? It stands at 14,440 feet high in the 3,000-mile-long Rocky Mountains. Fremont’s expeditions inspired western emigration and captured national attention, which ultimately made him a key player in the cause for Manifest Destiny. 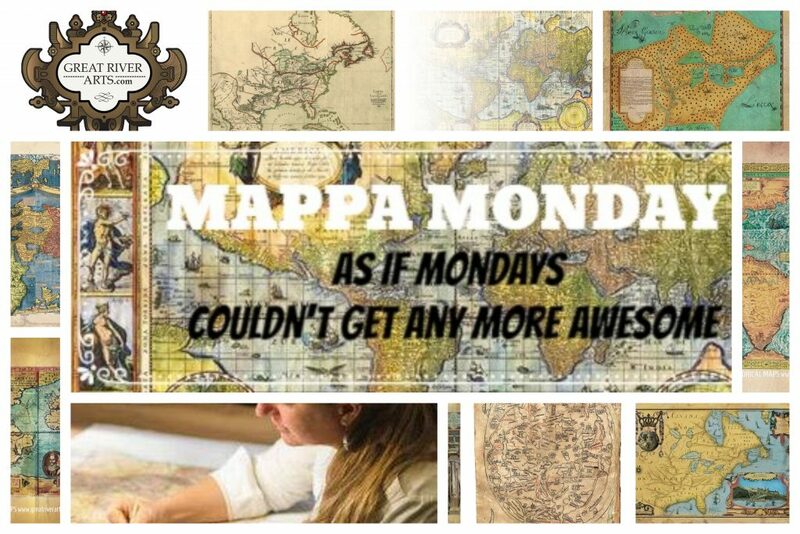 This map was incredible for its time and was the first map to name and describe with accuracy the Great Basin, and it proved to be a reliable one in its mapping of the Oregon Trail and the Spanish Trail. Did you know that the Oregon Trail was a historic wheeled wagon route established in the mind-1800s to emigrate west? It extended for more than 2000 miles and connected the Missouri River to valleys in Oregon. Depicted at the top of the map is a profile of the route West from the mouth of the Kansas River to the Pacific Ocean. Fremont’s presented new mapping of territories that had never been recorded or accurately recorded prior. His new recordings includes the entire extent of the Sierra Nevada Range, numerous rivers and tributaries across the region, lakes, and mountain ranges, along with the names of Native American tribes and villages. Fremont’s map helped to open up the West for settlement by pioneers, families and prospectors looking to start a new life.